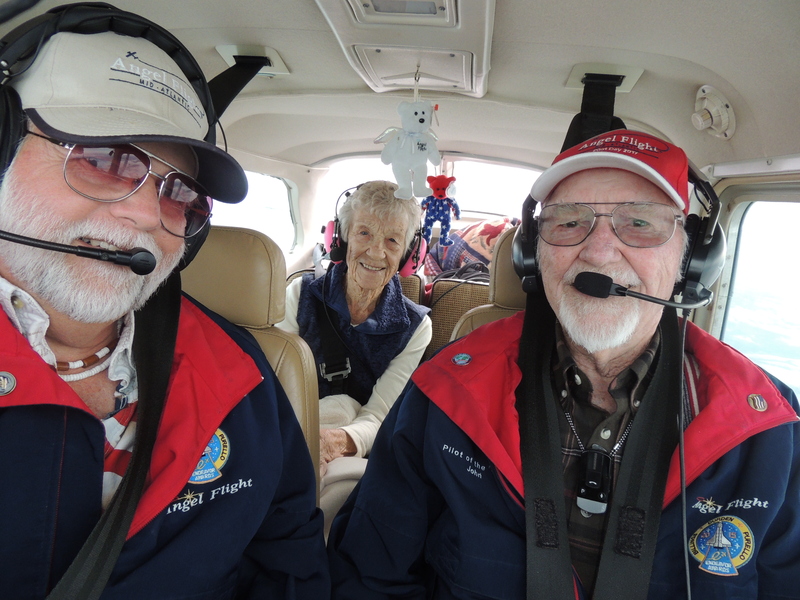 Today (November 21st) we flew to Hilton Head Island SC to pick up Captain Johns Sister Barbara and brought her back to Virginia for Thanksgiving ! (You Can Click Here to View Story and Photos) We will be flying Barbara back home to Hilton Head on Sunday. Thanks for viewing….. Captain John and I would like to wish each and everyone a very Happy Thanksgiving ! I know that area well, having been stationed at MCAS Beaufort for two years as an intelligence officer. Nice area to live in, except for the summer heat and humidity. It sure is beautiful Bill, but I still prefer our Beautiful Mountains …….. Thanks for following our flights 😊 Happy Thanksgiving! On your flight South, did you notice any cars on I-95 passing you? Barbara and John have the same smile. Clark Luther and his wife retired to Hilton Head Island. Clark retired as Senior Vice President – Flying at United. He was a high school friend at Arlington, Virginia, both flew with the 8th Air Force in WW II and worked together at United. Please ask Barbara if she knew them. Clark has passed. Happy Thanksgiving to all. It sure was a slow go Tom …….. but we got paid back on the return trip (averaged around 180 mph ! ). Happy Thanksgiving Tom !